At Hawley Lane Dental, we are aware of the current shortage of family dentists in Trumbull, CT and we strive to make up for it in all that we do. Whether you seek semi-annual exams for you and your children or emergency treatment for one of life’s unforeseen circumstances, Dr. Kristy Gretzula and her highly proficient team are here for you. If you’re looking for a new family dentist, you’ve come to the right place. We’re located 10 minutes east of Trumbull meaning you’ll always have a dentist nearby. Call us today at (203)377-9300 to book your appointment! Take Exit 51 for Nichols Ave.
Continue on Nichols Ave. to Hawley Ln. We are 1/3 of a mile down on the right in the North Town Shopping Center / Big Y Supermarket. Trumbull has much to offer residents and is connected to larger nearby cities Bridgeport and Stratford by Greater Bridgeport Transit and routes 8 and 15. The town of Trumbull is a vibrant community with just over 36,000 residents. Established in 1797, it retains its small-town charm on Main Street with the Town Hall and Trumbull Library, to modern retail hub, Westfield Trumbull. A rich history, safe living environment, superb schools, and a wealth of amenities make this one of the best places in the state for a growing family. What further enhances a town’s standard of living is its availability of quality health care, and this is where we come in. Our commitment to the dental health of Trumbull residents is one of the many things that help maintain a healthy community. 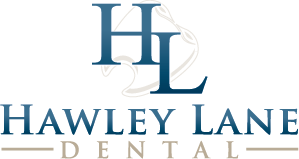 If you need a dentist in Trumbull, the team from Hawley Lane Dental is only one call away. To book an appointment with us today call us at (203) 377-9300.